ChildFund International CEO Anne Goddard explains why education is such an important tool in ensuring children get the best possible platform for healthy development. So how are we tackling these issues? ….. through community-based education. 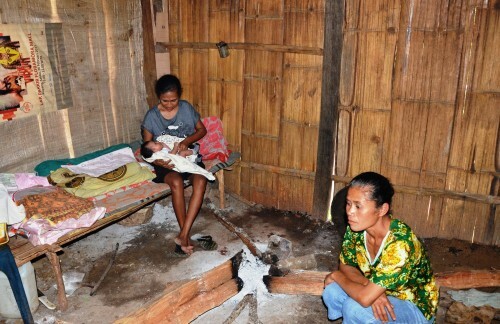 In Indonesia, mothers in some rural villages observe the practice of Sei, during which mothers and newborns are confined to smoke-filled huts for weeks after birth, because of a mistaken belief that the child will be stronger after being exposed to fire and smoke. Instead, this practice leads to chronic respiratory problems. To address this issue, ChildFund has trained community members — often mothers, themselves — to be health workers who visit expectant mothers and advocate for giving birth in health centers instead of at home. They also are making headway against the tradition of Sei, and children are benefiting. Yuliana, one of the health workers, stayed in a smoky hut after giving birth to all five of her children years ago, but now she discourages other mothers from doing the same. The practice of Sei in Indonesian villages causes respiratory distress. A continent away, in western Africa, mothers are learning about better nutrition in 10-day workshops conducted by ChildFund-trained volunteers in Senegal. 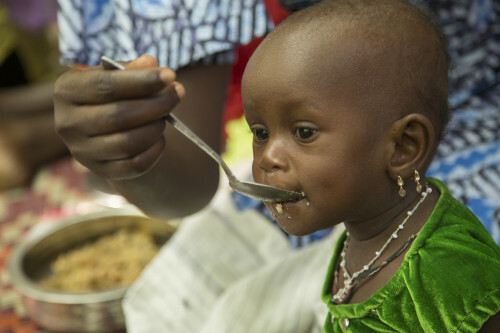 Because 50 percent of the Senegalese population lives below the world poverty line, malnutrition is a serious issue, particularly for the youngest children, who eat only from the family bowl. When the family doesn’t have enough food or varied nutrients, infants suffer. During the nutrition workshops, mothers learn the importance of breastfeeding until children reach age 2, as well as the nutrients that toddlers require to grow up healthy. Finally, in Sri Lanka’s tea estates, workers grow many vegetables — but traditionally not for their own consumption. The potatoes, carrots and leeks are usually sold elsewhere, leaving children nothing to eat but roti, a bread made of flour, water and salt. But at on-site classes convenient to mothers who work on the tea estates, ChildFund and our local partners are teaching women about varied diets and how to grow their own vegetables, along with providing the seeds and tools they need. Families need the tools and resources to feed children the nutrients they require, and often they need education to look beyond traditions that can be harmful. When education comes from respected, local voices, it has a chance to take root in a permanent and sustainable way — giving children the opportunity to grow up healthy and ready to take on life’s challenges.